A class-action civil complaint filed Thursday in New Jersey alleges sports betting provider DraftKings operated with negligence and in an arbitrary manner while running a $2.5 million handicapping contest that ended in controversy this past weekend. Plaintiff Christopher Leong, a participant in the DraftKings Sports Betting National Championship, claims in the complaint that bets of similar size and on similar events were arbitrarily accepted and rejected by the contest operators and that winning wagers were settled at varying times, which caused a significant issue for the leader on Sunday. The contest was the first of its kind. Contestants each started with a real-money $5,000 bankroll and were allowed to wager on anything offered at DraftKings' New Jersey sportsbook on Friday and Saturday. Among sports events on Sunday, only the two NFL playoff games were available for wagering in the contest. The contestant who ended with the largest bankroll was deemed the winner. More than 200 contestants entered the $10,000 buy-in tournament that was headquartered in Jersey City. Contestant Rufus Peabody moved into first place Sunday with a successful bet on the New England Patriots to cover the spread against the Los Angeles Chargers in the earlier of two divisional-round playoff games. However, Peabody's funds were not credited to his account until after the game between the Philadelphia Eagles and New Orleans Saints kicked off, preventing him from placing a bet on the final game in the contest. There were only four minutes between the end of the Chargers-Patriots game and the kickoff of Eagles-Saints. Some participants did have their bets from the Chargers-Patriots game settled in time to wager on Eagles-Saints. DraftKings sent emails to contestants, reminding them that no more bets would be accepted after kickoff of the second NFL game on Sunday. Peabody, who finished in third place, told ESPN on Thursday that he was not a part of Leong's suit at this time but had spoken to legal representation and was still considering his options. He is not referenced directly in Leong's suit. Leong said in a phone interview Tuesday that he also experienced issues with one of his wagers not grading in a timely manner, preventing him access to his full bankroll for over an hour and a half Saturday. According to contest data published on the DraftKings website, Leong placed a $1,500 bet on Indianapolis Colts running back Marlon Mack to score less than 18.5 fantasy points against the Kansas City Chiefs in the AFC divisional round Saturday. The game ended at 7:44 p.m. ET, with Mack scoring less than 18.5 fantasy points, but Leong's wager was not settled until 9:22 p.m., after he went to the contest headquarters in Jersey City and asked for assistance at the help desk. The wager was then graded "within a matter of minutes," according to the complaint. Roughly an hour after Leong's bet on Mack was settled, DraftKings sent an email to participants stating that "bets on fantasy props take longer to settle than other wagers." Fantasy prop bets on the Eagles-Saints game were graded less than 20 minutes after the game was complete, according to contest data. DraftKings said it does not comment on pending litigation, but a spokesman told ESPN on Monday that "absolutely no SBNC competitors had their bets graded/paid out on-site with the help of (DraftKings) members." The company says its backend system that grades wagers worked correctly. Second-place finisher Daniel Steinberg said he had his wager on over 61.5 rushing yards by Patriots running back Sony Michel graded midway through the second quarter of New England's win over the Chargers. Michel eclipsed the 61.5 rushing yards on a 40-yard run in the second quarter. Traditionally, however, sportsbooks have not settled bets until the completion of the game. Steinberg told ESPN that he did not contact anyone at DraftKings before the bet on Michel was settled. The New Jersey Division of Gaming Enforcement said Monday that it was looking into the issue, but did not respond to a request for an update made by ESPN on Thursday. Leong, who is represented by attorney Maurice VerStandig, is seeking the return of the $10,000 entry fee, treble damages under the New Jersey consumer protection statute, attorneys' fees and punitive damages potentially in the range of $334,000. 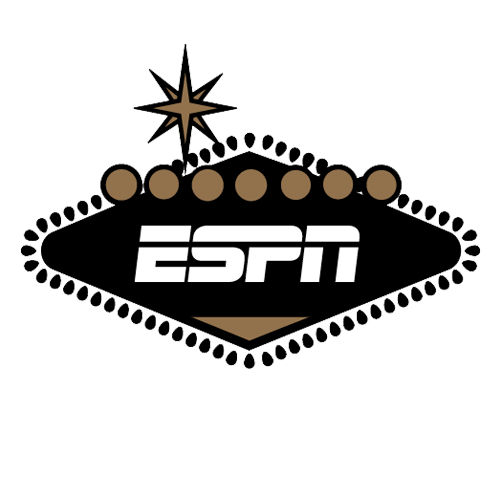 "It is truly disappointing to learn so many people lost their time and money on a contest that was seemingly operated in an arbitrary and capricious manner," VerStandig told ESPN in a statement. "We expect more from our licensed gaming establishments and, frankly, we expect better from DraftKings and Resorts. So we look forward to pursuing our case in court, and it is our hope to help bring justice to all the players who have been wronged." Randy Lee, a New Jersey poker dealer, won the contest, capturing the $1 million first prize.